So I saw one of my daughters making a tutu for my grand babies and I got a bright idea. 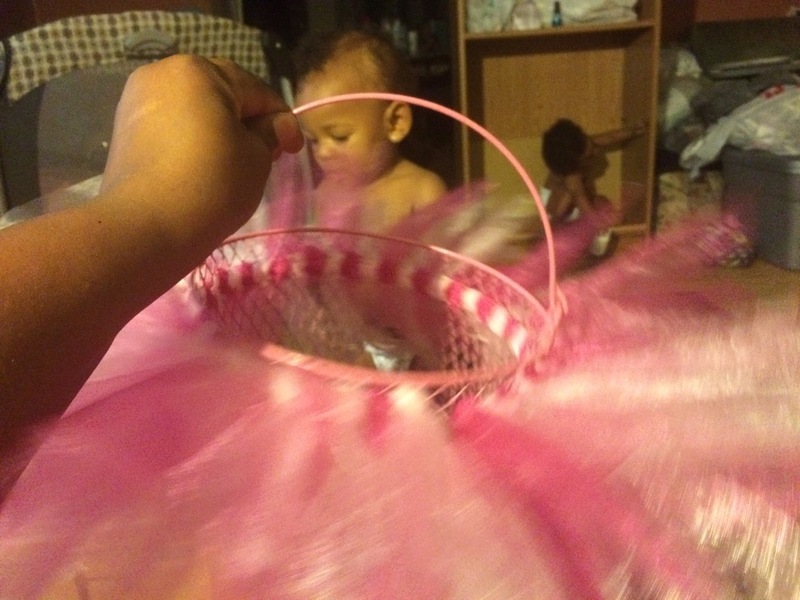 I decided to try to make a tutu basket. It was real simple and I am sure you could figure it out without a tutorial. However, I plan on doing a YouTube tutorial soon. I will post a link to the video when I finish it. Don’t mind my little helper in the pictures. 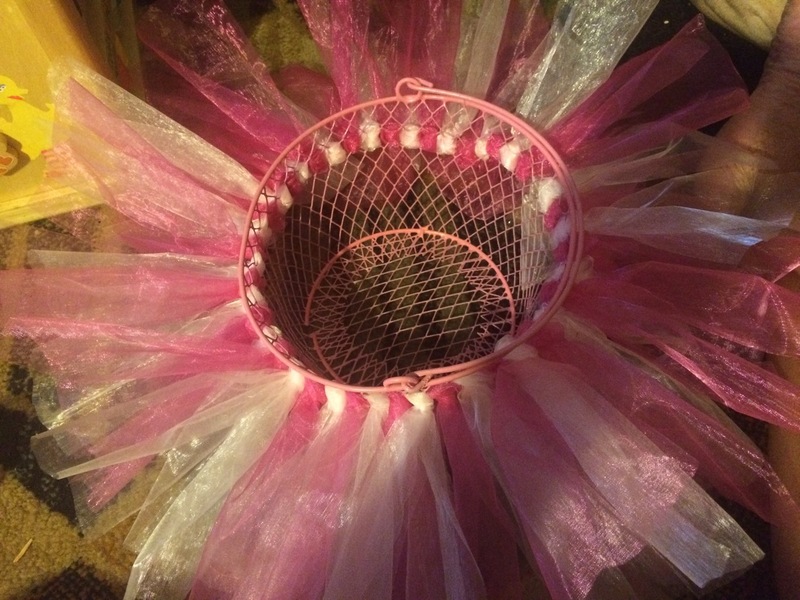 This entry was posted in hobby and tagged basket, gift, organza, ribbon, tutu, wire by kathiscreations. Bookmark the permalink.